1. Detcon1, this year’s North American Science Fiction Convenion (i.e., the convention they have when Worldcon is overseas) has announced that Detcon1 Award for Young Adult and Middle Grade Speculative Fiction, and the folks who have memberships can both nominate and vote for the award. This is pretty neat; folks have been trying to get a YA Hugo on the ballot for a few years, to no success. This is a fine way to point out the importance of YA/MG to the genre. As an aside, I’m intending to attend Detcon1, so if you’re around for it I will see you there. It looks like it’s going to be an excellent convention. 2. For the last several years Jim C. Hines has been talking about how much money he makes from writing fiction on a year to year basis; the 2013 installment of this series is now up. It’s a really good look for people interested in what a successful midlist spec fic writer can be doing financially, here in the middle of the second decade of the 21st century. Bonus: Laura Resnick, also a successful midlist writer, pops in the comments to share information on her own financial situation. More data! It’s good! He explains why he’s not fond of them, here. It’s worth the read, and offers a relevant counterpoint to someone like, well, me, who obviously has no problem letting people know which works of his are eligible for awards consideration. Adam Roberts, incidentally, the winner last year of the BSFA and Campbell (not the Campbell I won, the other Campbell) for his novel Jack Glass, so well done him. He’s also deeply amusing on Twitter. Roberts and I, I suspect, agree on a number of basic principles regarding nominating for awards. People should read as widely in the field as they can before nominating. They should not just nominate “the usual suspects” (or their “usual suspects” as the case may be). They should privilege quality over familiarity, and (unless the award is “best author,” which it never is) they should focus on the work, not the author, and whether it is the best in the field, for whatever metric they use for “best”. Please, yes, this. What I’m not in love with about the piece is Roberts’ conceptualization of what it means to be a “fan” in the context of science fiction fandom. I think he gets it largely wrong, and because he does — nor is he the only one — it leads him to think about voters (specifically Hugo voters, let’s go ahead and get that out of the way) in a way that’s erroneous on the inside, and thus looks more than a little smug and dismissive from the outside. Well, maybe it does, but the “team” in this case is usually the genres of science fiction and fantasy, not a single, specific author. 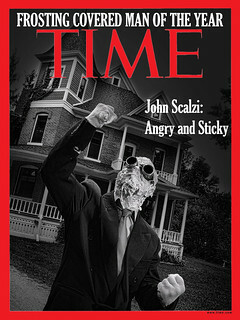 The person in fandom who reads John Scalzi is highly unlikely to only read John Scalzi, or to consider it treasonous to also read, say, Adam Roberts, in the same manner that a Yankees fan would duck to avoid a Red Sox cap being placed on their head, or a fan of Manchester United would consider it treasonous to harbor kind thoughts about Liverpool. I don’t think it’s impossible that there are SF/F fans so deeply in the tank for a single author they cannot abide another, but I have to say I don’t know of any, and I’ve been around a lot of fans. The sort of person who only reads one author also correlates highly with the sort of person who reads only one book a year, i.e, the Dan Brown brigade (not all people who read Dan Brown only read one book a year, but many of the people who only read one book a year read Dan Brown). These people aren’t voting on genre awards. Last year with the Hugos, in the Best Novel category, there were 1,113 nominating ballots, and 3,837 individual entries, which means the average Best Novel nominator nominated 3.45 novels per ballot. There are relatively few authors in sf/f who manage more than 3.45 novels a year. This does suggest that generally speaking, people who nominate for Hugos (at least in this category) are nominating beyond a single author, i.e., that their fandom is not so exclusive as to deny other writers and their works their votes (there were also 475 individual novels with at least one nomination, which is a pretty wide spread). Are the Hugo slots (and wins) going only to inveterate self-promoters with piles of slavering minions? Meh. The last five Best Novel winners are me, Jo Walton, Connie Willis, China Mieville and Paolo Bacigalupi. Connie and China are hardly online at all; Jo and Paolo haven’t, as far as I can tell, made much of an effort to self-promote their works. Likewise, of last year’s nominees, I don’t really recall either Lois Bujold or Kim Stanley Robinson doing a lot of drum beating, and Saladin was on the ballot as a debut novelist — most of the drum beating for his novel came from other quarters (i.e., the way Roberts would prefer). The best you can say looking at the recent list is that Hugo Awards for Best Novels tend to go to popular writers who have a number of previous nominations or wins, and, well. Yeah. Welcome to the Hugos. 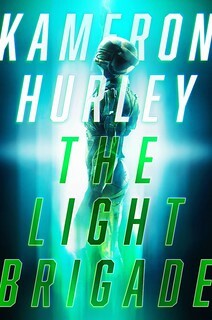 But this does not imply that the voting process was unduly skewed, either in the nominating or voting process, by writers informing the public about their eligible work, or that fans, however one wants to slice and dice the term, rush to value affiliation with an author to the exclusion of critical consideration of work — if not for specific titles, then over the universe of their nomination choices. It might mean that the nominators of the Hugos in aggregate have reading tastes that differ from Roberts’ (or any other observer of the award). But, you know. That’s life. I admit to getting a little tetchy about what I think is a lazy characterization of science fiction fandom by people who wish they read different things and voted different ways than they do. It’s easier to think of “fandom” as a bunch of uncritical, affiliation-affirming team boosters than, say, reasonably intelligent people who decide, with adequate critical discernment, to like what they like, and what they like is different than what you like. I think it’s excellent and laudable to encourage (and, sure, occasionally hector) people to read more widely and more deeply in the genre, and to be open to new and manifestly different writers, and to nominate their work for the genre’s prominent awards. You can do that without also implying fandom is the literary equivalent of football hooligans. Well, I let people know about what work of mine is eligible and I also set aside space for other writers to do the same, so let me address these directly. With regard to the first, there’s a difference between “If you’re going to nominate and you’re interested in what I have, here’s what it is,” and “OH GOD OH GOD PLEASE NOMINATE ME PLEASE GOD PLEASE.” I’m doing the first. I recognize that depending who you are, and for your own reasons, it will look more like the second. However, that is your karmic burden to haul, not mine. Do I like being nominated for stuff? Yeah, I do. Then again, the reason I like being nominated for stuff is because I make the assumption that the nomination came with a critical judgement attached. It’s what the nomination represents, in other words, not the nomination itself. Toward the second, let me blunt: Why yes, in fact, in the field of science fiction and fantasy literature, I have a big damn platform, visited rather frequently by the sort of folks who then go on to nominate for things like Hugos. And yes, I let other authors use it, if they like, to let people know about their work. I do it because a) it’s a nice thing to do, b) it conforms to the “pay it forward” ethos that science fiction likes to say it has and that I actually think it should have, c) I believe pretty strongly that the field of science fiction and fantasy is improved when folks who nominate for its awards have as wide a knowledge as possible of the works available for consideration. And an excellent way to do that might be to have one of the most widely read blogs in the genre set aside space for authors to talk about their eligible work. It’s not the only way to do that — Roberts suggests people recommend work, and that’s something I encourage as well; indeed, every year I leave open a thread for folks to offer their suggestions for nominations, where one can’t suggest one’s own work. I’ll do that again in early February, most likely. But I also see no harm, and much good, in letting authors themselves have a chance to note their own work if they want, someplace with a decent amount of traffic, in a location that’s easily findable when it comes time to fill out ballots. As I’ve noted before, authors actually do want people to know about their work. Informing is not wheedling. Again, I am aware that depending on who you are and for your own reasons, I can appear to be doing this out of some sort of head-patting noblesse oblige and/or as a way to assert my own status in the field on others while making it look like I’m doing them a favor. But, once more: Not my karmic load to bear. At the end of things, this really comes down to: some people feel squidgy talking about their work, some people don’t. If you do feel squidgy about it, then don’t talk about it — let other people do it for you, or just let the work stand on its own. If you fine talking about it, then go ahead and do that — don’t be obnoxious about it, and don’t run down others to elevate yourself, just let people know what you’ve got. What’s going to happen is people will nominate what they think deserves to be nominated. Not because they are on “Team [Whomever]” but because they know what they like and what they think should be honored.